The 86th Regiment of Foot (Rutland Regiment) was a British regiment raised for service in the American Revolutionary War. It was raised in England in July, 1779. It was sent to the Leeward Islands in January, 1780. Five companies stationed on Tobago were captured June, 1781. The regiment returned to England and was disbanded in 1783 at York. The Volunteers of Ireland (aka 2nd American Regiment and the 105th Regiment of Foot) was a British provincial military unit during the American Revolutionary War which was added to the British regular army. It was formed by Francis Rawdon-Hastings, an Irish lord who had joined the British army and risen through the officer ranks, Rawdon had been given permission to form a British regiment from Irishmen serving in other provincial units in the Thirteen Colonies. The unit was raised in Philadelphia in the fall of 1777 and went to New York with the army in April 1778. It was sent to Charleston, South Carolina in December 1779 as part of a force to augment the attack on that port city. The regiment was placed on the American establishment as the 2nd American Regiment on May 2, 1779. Following Charleston, the regiment helped win the Battle of Camden (1780), where Sergeant Thomas Hudson received a decoration for heroism; one of only two decorations for heroism given throughout the war for the British Army. The regiment was the primary unit in the Battle of Hobkirk’s Hill, as well as the relief of Fort 96. It remained in South Carolina, until news of the surrender of General Lord Cornwallis at Yorktown was received. It was removed from South Carolina, and taken by ship to New York. 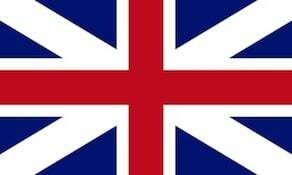 The unit was put on the British establishment as the 105th Regiment of Foot on December 25, 1782. The soldiers of the Volunteers of Ireland were mustered out in New York City, and taken by ship to Nova Scotia. This was in response to the policy of resettlement for British colonists displaced from their lands during the war, coupled with the fact that the vast majority of soldiers were Irish, and England had no desire to return Irish emigrants back to England or Ireland, as it needed new settlers in Canada. It was also much cheaper to move them to Canada than to bring them to England. The regiment was placed in a cadre status, and officially “moved” to England in April 1783. Today one can find communities with the name “Rawdon” established by former soldiers of the regiment, and named after their commanding officer. The regiment should not be confused with the contemporaneous Irish Volunteers, an autonomous militia that supported the Irish Patriot Party in the 1770s and 1780s.